Finding warm clothing in the winter is a problem for vulnerable populations. 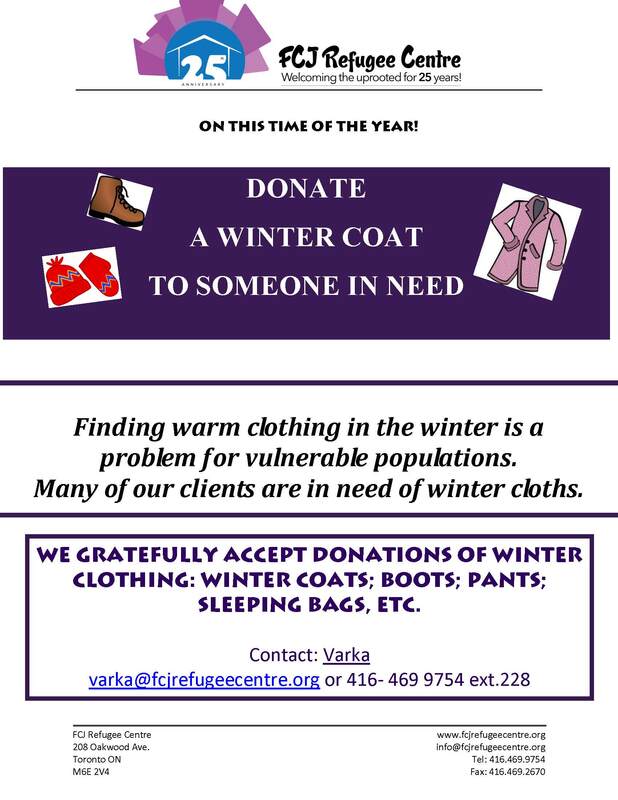 Many of our clients are in need of winter cloths. We gratefully accept donations of winter clothing: Winter Coats; Boots; pants; Sleeping Bags, etc.